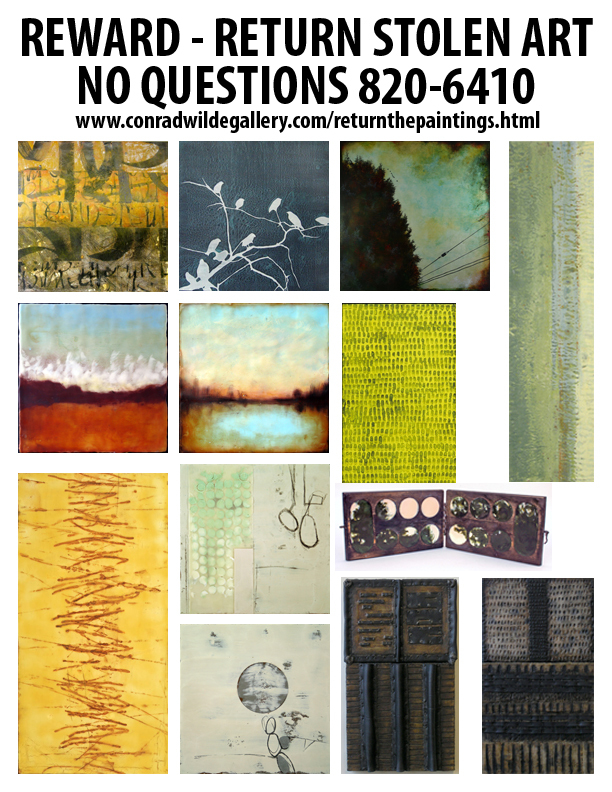 Conrad Wilde Gallery was robbed by unknown person(s) between the dates of 3/27-3/29. The major loss was 13 original works of art by 10 artists as well as all of the gallery’s electronic equipment. This is a locally owned small business that is well regarded in service to the community. The loss of these artworks is devastating to the gallery and to the individual artists whose works were taken. A reward is offered to anyone with information leading to the safe return of these artworks. Phone 520-820-6410. No questions will be asked.